Rebecca Cook-Carter is a native of Chattanooga, Tennessee. She received her Bachelor of Music Degree in Vocal Performance from the University of Tennessee at Chattanooga and her Master of Music Degree in Vocal Performance from Indiana University at Bloomington, where she studied with the renowned teacher, Margaret Harshaw. After graduating Rebecca spent the next five years at the San Francisco Opera, where she participated in the Merola Opera Program, won the 1978 San Francisco Opera Grand Finals, and apprenticed in the San Francisco Opera/Affiliate Artists Program (currently known as Adler Fellows). During this time Rebecca sang many roles both leading and secondary. Her apprenticeship in San Francisco culminated with her performances as Micaela in Jean-Pierre Ponnelle’s production of CARMEN and as a substitute for an ailing Monserrat Caballe as Amelia in UN BALLO IN MASCHERA. In 1981 Rebecca was also a National Finalist in the Metropolitan Opera Auditions. As a lyric spinto soprano, Rebecca has sung leading roles in major opera companies in America and Europe, such as Zurich Opera, San Francisco Opera, Nationaltheater Mannheim, Portland Opera, Basel Opera, Hawaii Opera, Hamburg Opera, Miami Opera and many others. Rebecca has also returned to her hometown of Chattanooga on many occasions to perform with their symphony and opera company. As a result she was proclaimed a ‘Distinguished Citizen’ of Chattanooga. Rebecca returned from Europe, where she lived for ten years, with her family to Charlotte, North Carolina. Along with performing, Rebecca also directs the CPCC Opera Theatre, where she has developed a thriving operatic training program. As a result, Rebecca has the unique privilege of performing and also sharing her knowledge and expertise. Her most challenging, yet rewarding role has been that of wife to Ellis, and mother to Austin and Kayla. Christine Leimer has an eclectic musical background – she grew up singing folk and church music, as well as popular jazz standards, before beginning studies on the piano and harp. Her grandparents were voice teachers, so a natural love for melody, rhythm, and phrasing were instilled in her from an early age….much like the approach of the Suzuki method for talent development — an approach to music education for which she is certified. 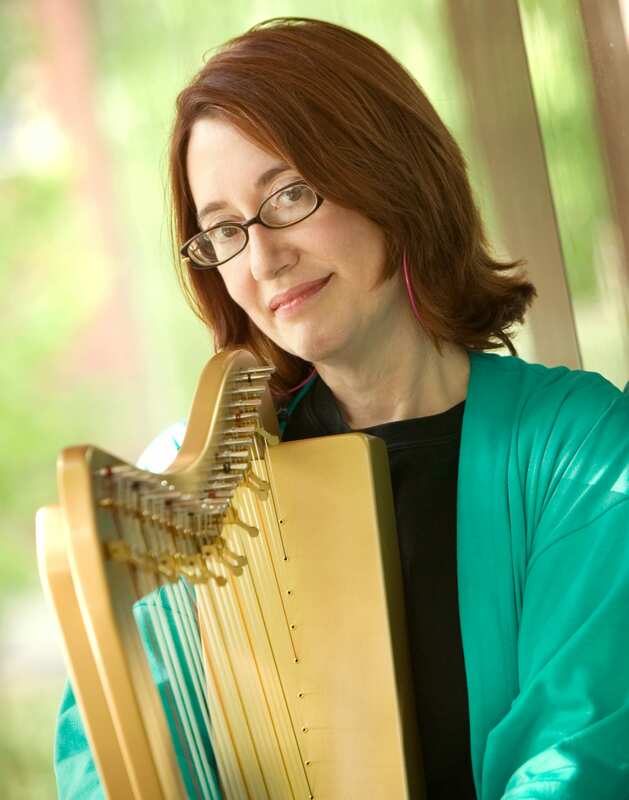 Christine received her classical harp training at Queens College, Winthrop University and the Cincinnati College-Conservatory of Music, where she was awarded a full graduate scholarship. She loves to learn and enjoys continuing to expand her musical skills. She has traveled the globe studying fascinating aspects of the harp world, such as the cross-strung Spanish harp, the Scottish clarseach, and the Breton, wire-strung harp. Her orchestral career has included many years as Principal Harp for various orchestras in the two Carolinas and Tennessee as well as a tenure as Solo Harpist of the Orquesta del Principado de Asturias in Oviedo, Spain. Chris Meister holds Bachelor’s of Music in Piano Performance as well as a Masters and Ph.D. in Music Composition. In 1984 he orchestrated the “Brescia” version of Madame Butterfly for the Opera Theatre of St. Louis and in 1986 was a nominee for the Lili Boulanger Memorial Award in Music Composition. He read an original paper “Towards a Correlation of Tonal Structure and Figural Behavior in the ‘Introduction’ to The Rite of Spring” at the New Hampshire Composers’ Conference (NHCC) in 1987; two years later his string quartet was chosen to be read through at the NHCC, and it was subsequently performed by the Apollo Quartet when they toured Ohio, Illinois and Missouri in 1991. His piano sonata was performed at the national convention of the Society of Composers International in 1992; and his paper “Convergence as a Mode of Musical Organization: Comparing Varése’s Hyperprism with Penderecki’s Polymorphia” appeared in the music theory journal ex tempore, volume VII/1 (1995). Currently, Mr. Meister teaches class piano, music theory, and music appreciation at CPCC. He lives in Union county with his wife and daughter, both of whom have performed at Carnegie Hall. He is itching for his turn. Christopher G. Ogburn received the Bachelor of Music in bassoon performance from the University of North Carolina at Chapel Hill. He also holds a Master of Music and Ph.D. in historical musicology from the Graduate Center of the City University of New York. His dissertation, entitled Strauss and the City: The Reception of Richard Strauss’s Salome, Elektra, and Der Rosenkavalier within New York City, 1907­–1934, explores the reception of Strauss’s early operatic works in New York. In addition to Strauss, his other areas of research include Wagner, German American studies, and American country music. 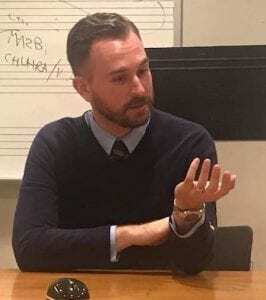 He has presented papers on a variety of topics, including German American singing societies in the aftermath of the Civil War, the reception of the German operatic repertoire in the United States following WWI, and the place of female country music singers in today’s industry. He has also published on German American singing societies and the use of music to foster a sense of shared identity. 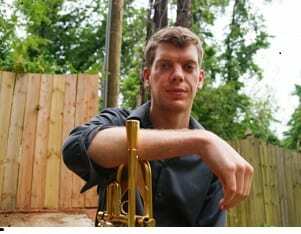 Matt Postle holds music degrees from University of York (PhD – Music Performance), Florida State University (MM – Jazz Studies), and Washington State University (BM – Trumpet Performance). He has worked with several international artists including Dave Douglas, Kenny Wheeler, John Taylor, Ralph Alessi, Ravi Coltrane, the ICP Orchestra, the Lincoln Center Jazz Orchestra, and as a featured soloist with the Norwegian Wind Ensemble and the Airmen of Note Big Band. Matthew has been featured at the Scottish International Festival of Trumpets, Manchester Jazz Festival, York Early Music Festival, and Huddersfield Contemporary Music Festival. He has also been a participant at the Banff Jazz and Creative Music Workshop and the School for Improvised Music Workshops. Matt was a featured artist at the Festival of New Trumpet in New York City with his ensemble RPE Duo in collaboration with Stockholm Environment Institute and NASA Goddard Space Institute. He has recorded for several bands and television shows including the HBO series “Eastbound and Down” with hip hop artist Snoop Dogg. Currently he leads the jazz area at Central Piedmont Community College. In the past he has taught at Verde Valley School, University of Portland, Davidson College, Queens University, Johnson C. Smith University, University of York, and Florida State University. Roxanne Holt Watson received the Bachelor of Music Degree from the State University of New York at Potsdam, the Master of Music Degree from Indiana University, and the Doctor of Musical Arts Degree from the University of North Carolina at Greensboro. Her DMA document title is Six Chants Polonias (Sech Polnische Lieder): Liszt’s Transcriptions from Chopin’s Songs, Opus 74. 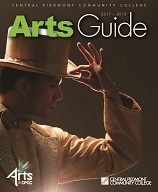 Dr. Watson is the music director of the CPCC Opera Theatre. Previously Dr. Watson has taught at Wingate University and Montreat College. She has been on the board of the Charlotte Piano Teachers’ Forum and serves as an adjudicator for piano contests/festivals in North and South Carolina. She is an active soloist, accompanist, and chamber music collaborator.